If you think that your Mac laptop/desktop is safe, think again! The (misplaced) confidence of Mac users, about the security of its operating system may backfire, as happened again, recently in the case of the BackDoor.Flashback.39, also known simply as Flashback Trojan. More than 600,000 Mac machines have been affected and with no appropriate guidelines from Apple on how to counter that or stay safe, the count may be on the rise. It is said that the infection rates are comparable to the Conficker botnet, which infected many Windows machines. For long have Mac users boasted that their OS was immune from malware attacks, little realizing that people were just not interested in attacking their computers because of their low market share. 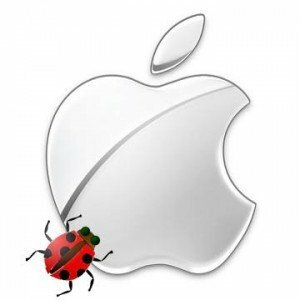 But now that the Mac operating system has shown a steady growth, malware writers seem to have taken an interest in it. And compared to the battle-hardened Windows, malware writers are now finding Mac to be an easy target. In the present case, systems were compromised when users clicked for updates on Adobe Flash – but now, this Trojan horse doesn’t require any user involvement. A simple visit to an affected website is enough for the malware to run automatically, thus compromising a Mac computers security. Mac owners usually do not believe in installing an anti-virus software on their system, as they have the been under the false impression that their Mac’s were secure! Mac users scoffed when Mac security experts said that a Mac was less secure than a Windows and that it was 10 years behind Microsoft in handling vulnerability and security issues. This complacency led to Mac users clicking on any links – even compromised links without even thinking twice once, thus spreading out a red carpet for malware to enter. Sigh! The fact is that there are a number of significant security flaws which aren’t widely publicized but can turn out to be dangerous when attackers invade with full vigor, as in the case of the Flashback Trojan. Immediately as Apple came to know about this malware attack, it should have informed its users and rolled down some important directives to be followed for the user’s security, like primarily switching off the Java environment (it is the fuel for the Flashback Trojan) but it did not. Apple did recently roll out a fix but it’s highly unsure as to what it does and till what extent does it add to the security. Hiding security flaws from the user may end up backfiring, instead. As for now, Apple advises its Mac users to update their operating systems. With only approximately 7% share in the PC market for the Mac OS X, 600000 infected machines is indeed a huge number. More than 50% of the infections have occurred in the United States. High time that Apple started focusing on enabling security measures for existing users in matters as such, by strengthening Mac security. And with Windows 7 going strong and with Windows 8 on the anvil, Apple better buckle up! Enough said. Apart from Kaspersky, Symantec, McAfee, Intego, PC Tools and Trend Micro who offer paid security solutions for Mac computers, we also have Sophos, Avast and now Avira who offer a free anti virus for Mac. Mac users may want to consider installing an anti-virus now. If any Mac user wants to find out if his Mac computer has been infected, he or she should visit this link at Dr Webs and click on the Check button, or you can download FlashbackChecker. You can find manual removal instructions at the F-Secure website. UPDATE: Apple has released the Flashback malware removal tool. This Flashback malware removal tool removes the most common variants of the Flashback malware. Shh! Don’t tell folks we have to protect against malware on Mac OS X! Do-it-yourself Crimekits for writing Mac malware.